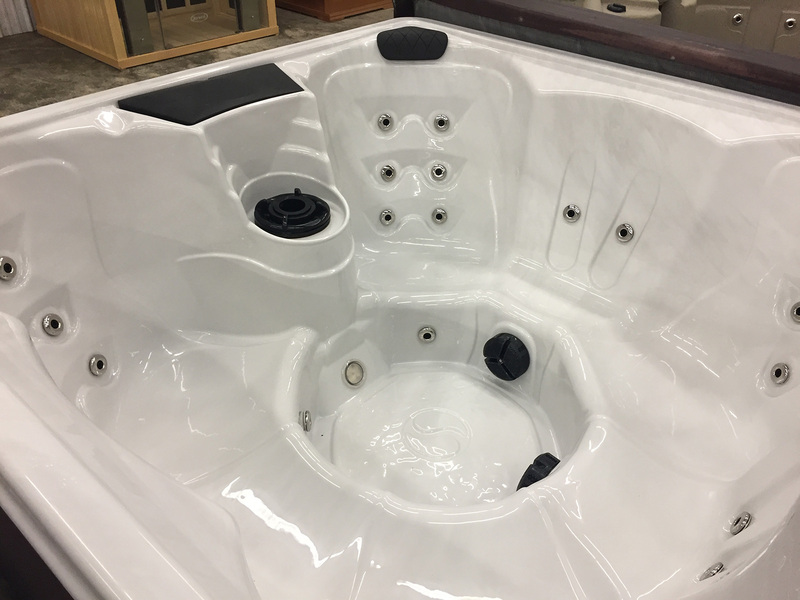 All of our Refurbished Spas are wet tested and run in our service center for a minimum of 7-10 days. 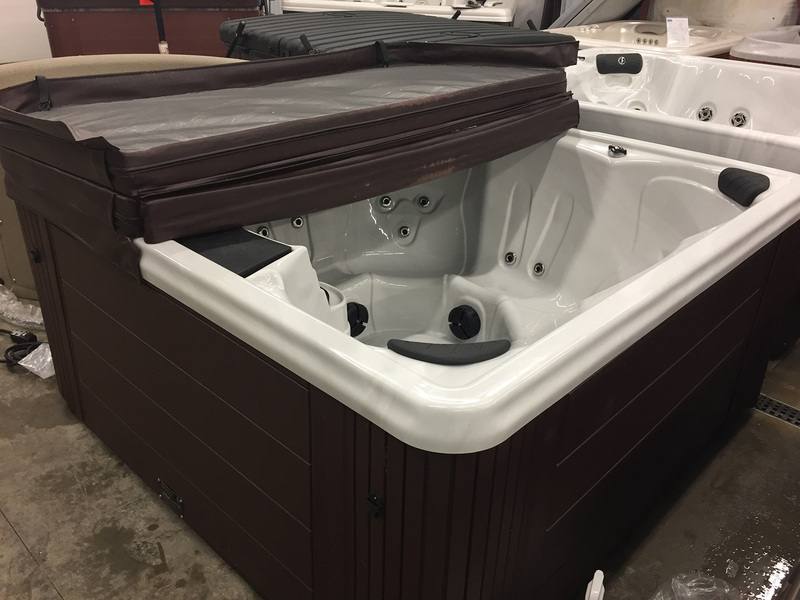 This allows our trained technicians the time they need to diagnose and make any necessary repairs before displaying these hot tubs on our showroom floor. 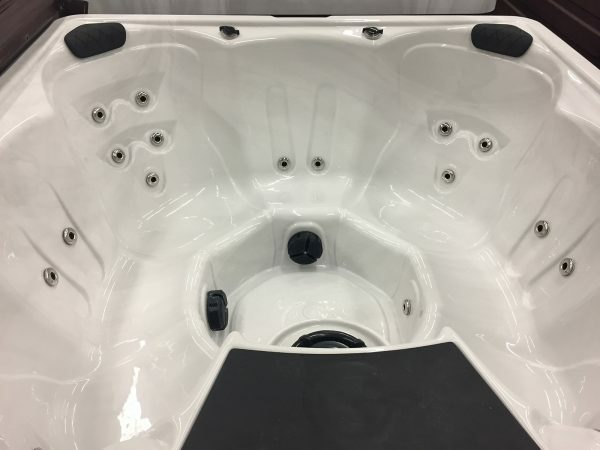 All Refurbished Spas are listed with our cash/check discount pricing. Please contact us for additional payment options. Free Standard Delivery on all spa purchases over 2,999.99 within a 100 mile radius of our showroom. Cash Price: $3,499.99, 28 Jets, 1 Pump, 110V, 74x74x34. Enjoy your favorite drinks and keep them cold in this tub’s Ice Chest. You can even light up your ice cubes with the LED lights inside! 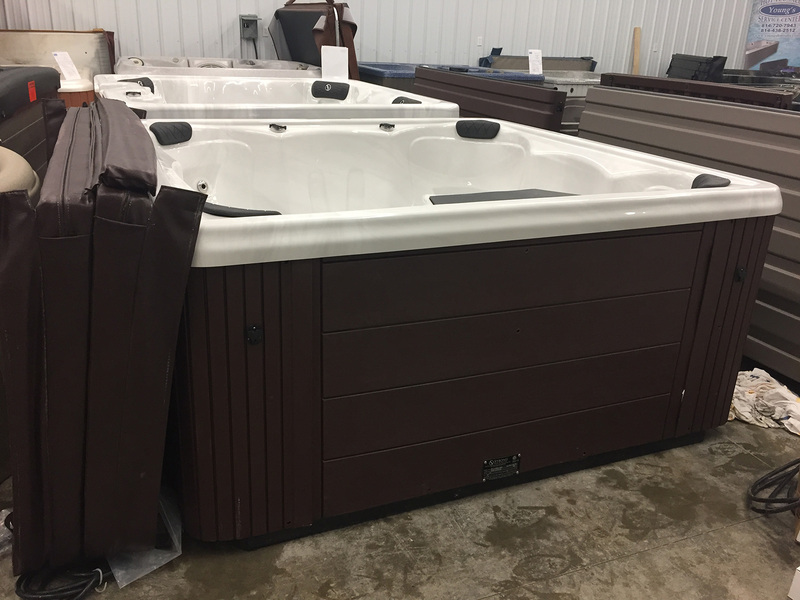 With this spa you’ll receive a Cover and 1-Year Parts & Labor Warranty to give you and your family peace of mind.